This pallet sofa bench is made from two and a half pallets, painted in “elephant bone” color. The bench is a requirement in every house to be placed outside for sitting arrangement in outside fresh air. You find benches everywhere in parks, waiting rooms, lobbies of hotels and other places. You can find million of benches in public places and are used by the public for their sitting arrangements. The point that I am making here is that benches are required everywhere in public as well as private spheres. If we make use of pallet wood for making pallet bench for outdoor then this is a perfect idea because the one reason is that pallet wood is inexpensive and is reliable and can sustain to environmental conditions. Even if the pallet bench gets damaged it is quite easy to be repaired and can be created again. 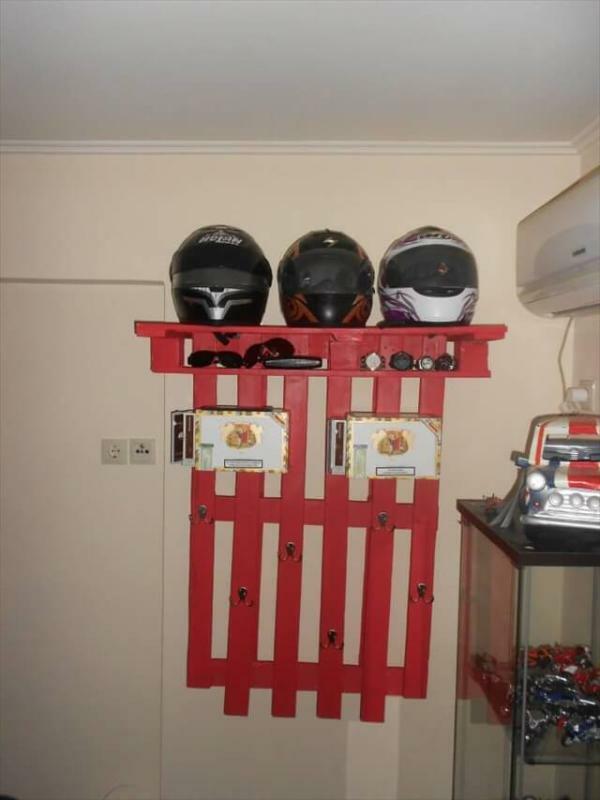 I must say that the use of pallet wood for making the furniture is that it is a unique idea for saving the total cost plus fulfilling your own requirement by little modifications. The project of the pallet outdoor bench that I am sharing with you is quite unique and is being made using two and a half pallets. All the pallets that I used were not completely disassembled but were used as they were. The pallets that I used were of high quality as you can see in the attached pictures. 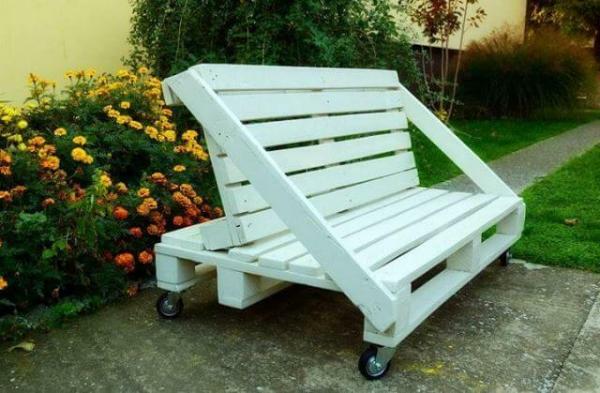 The best thing about my pallet bench for outdoor is the wheels that I have put under the bench and it has become quite easy for me to move the bench where ever and whenever I want. The finished form of pallet bench looks as perfect as it has been beautifully painted in elephant bone color. 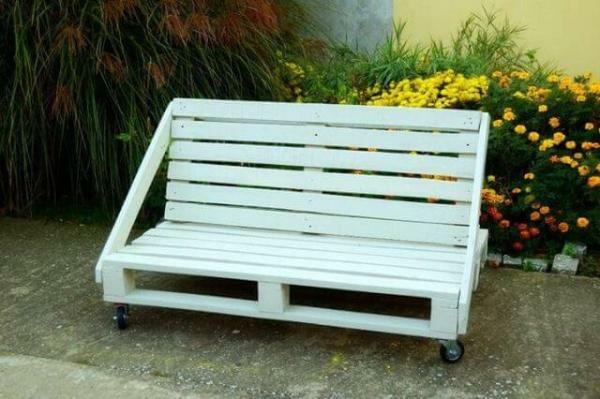 You can also make a perfect pallet bench for outdoor like this.